Okay, believe me as a mom, this is one of the scariest sights in the world. While editing this picture though, I can’t help but notice the sheer joy and trust in my son’s face. This is one of those moments when mommy closes her eyes and prays, and lets the boys play. 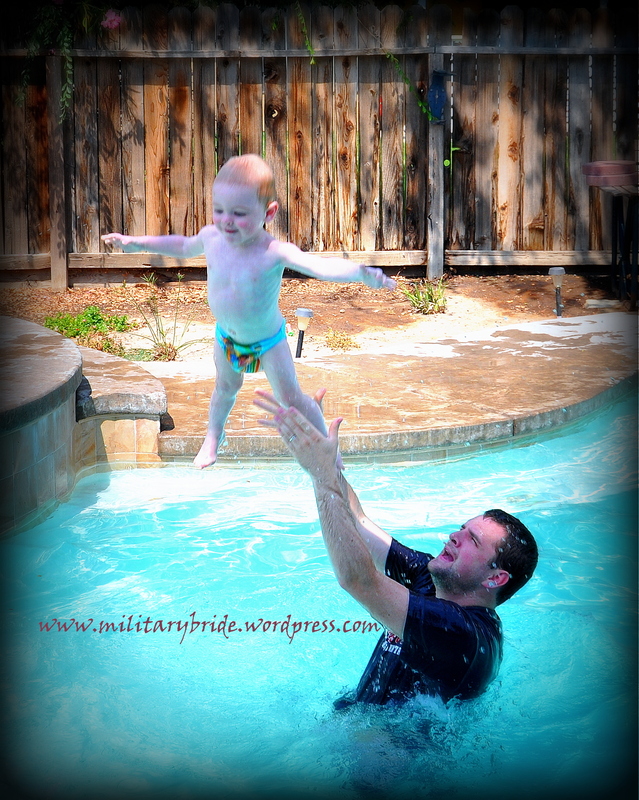 Posted in Baby, blogging, boys, family, life, military, military family, mommy, Uncategorized and tagged baby, baby boy, boy, daddy, faith, family, flying, happieness, hubby, husband, kids, life, military baby, military family, military life, motherhood, photo, soaring, swimming. Bookmark the permalink.